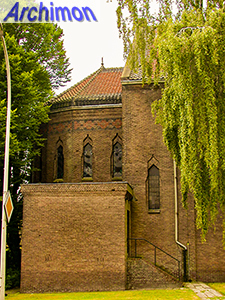 Not far from Waalwijk's centre, in the former village of Besoyen, which now is a part of Waalwijk, stands this catholic church in expressionistic style. 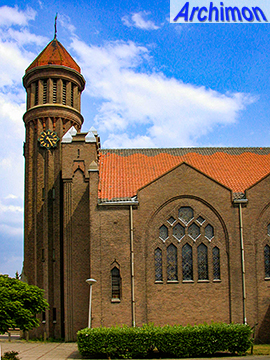 It was built behind its predecessor, a neo-Classical church from 1851. 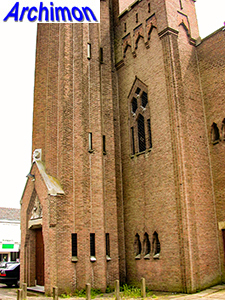 When the new church was finished, the old one was demolished. 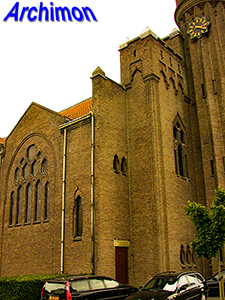 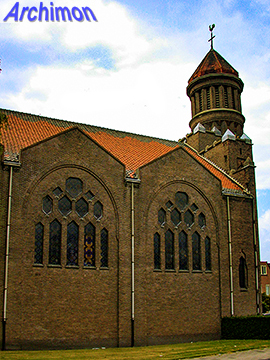 The current building was designed by Benedictine monk and architect Dom. 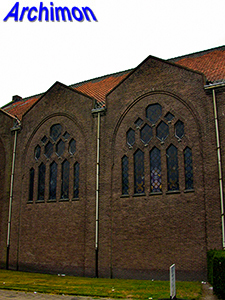 Paul Bellot, who took much of his inspiration from brickwork architecture in Catalonia, in cooperation with P. Cuypers jr., Jos. 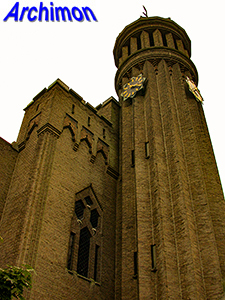 Cuypers' son. 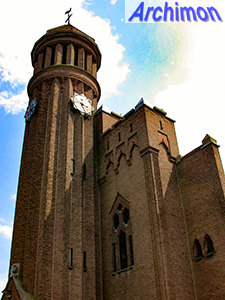 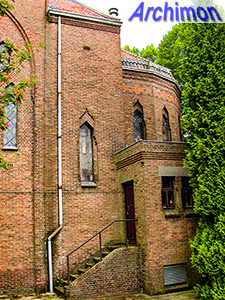 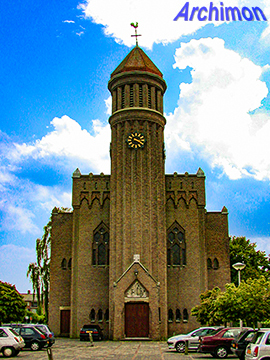 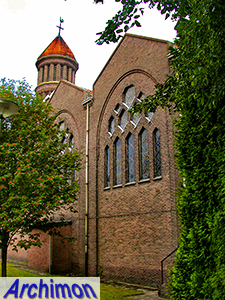 An almost identical tower can be found at the church of the Sacred Heart in Eindhoven, built by Bellot and H.C. van de Leur in 1930-1931. 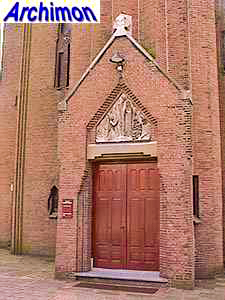 The church closed in 2000. 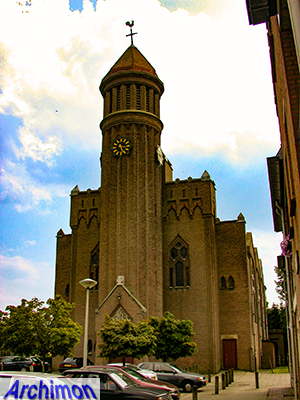 Its future is uncertain.